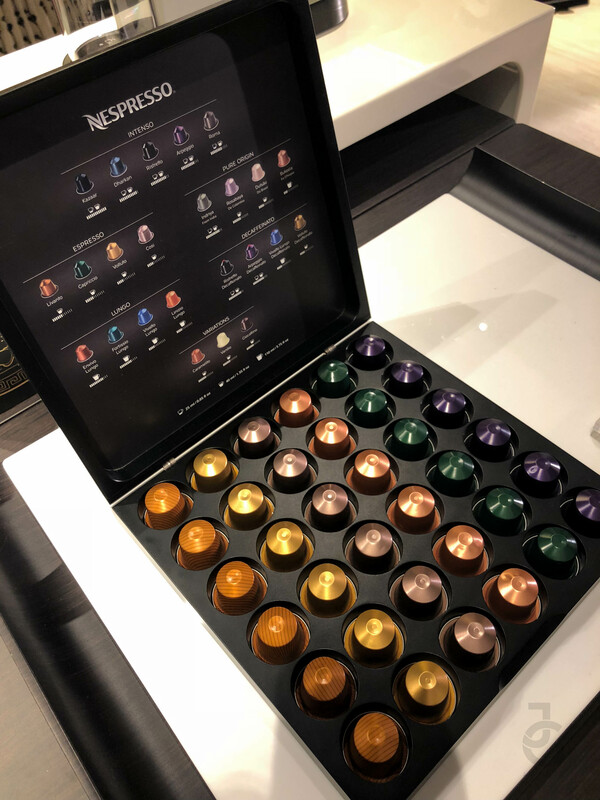 Finally Nespresso opened their first ever boutique here in the Philippines. Ever since I got my own machine (I had Didi of Candishhhh Tales buy for me in Japan pa) I’ve learned how to appreciate a good cup of coffee. I don’t know if it’s the process of making a cup or the coffee itself or probably both but since then I’ve grown fond of having a good cup. 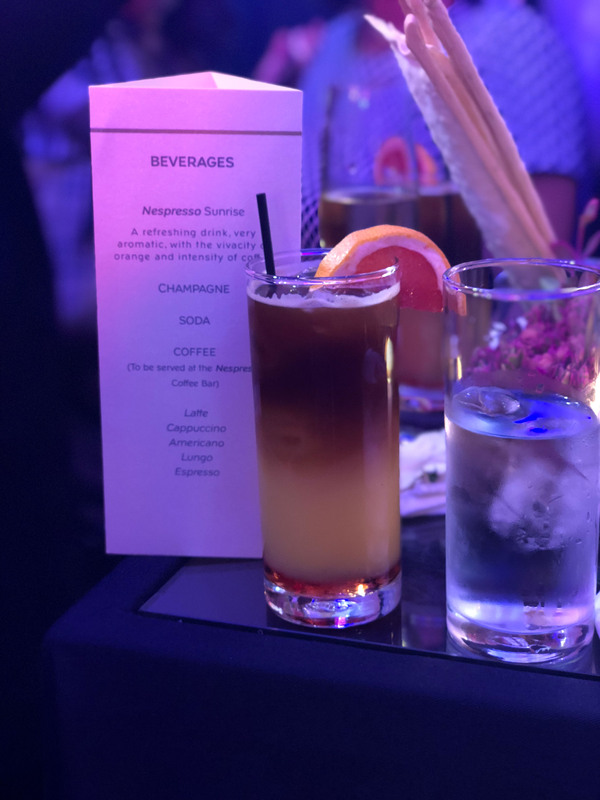 So during the official opening of the concept store, we had cocktails by the tent and what were they serving? Of course there’s Nespresso. I had Nespresso Sunrise. It’s a mix of Nespresso coffee, orange juice and a spike of vodka. 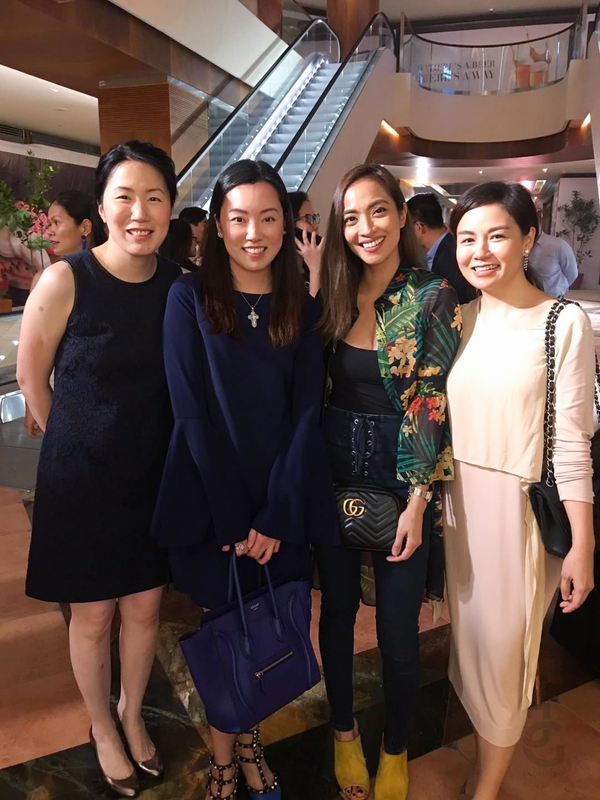 The better half of the man responsible for bringing Nespresso here in Manila, Ross Pesengco with her sister Jo Tan and the lady behind Bliss Bowls, Pam Siao. 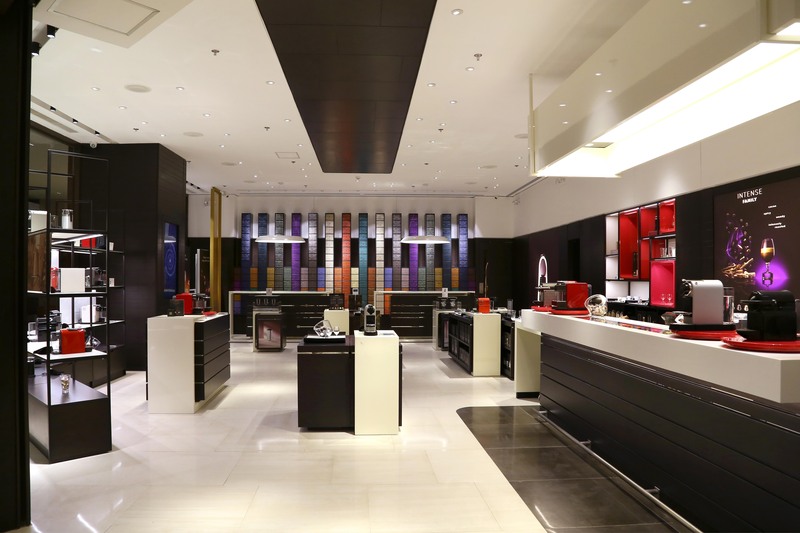 You can check out Nespresso’s top-of-the line coffee machines and premium coffee collection at the store. 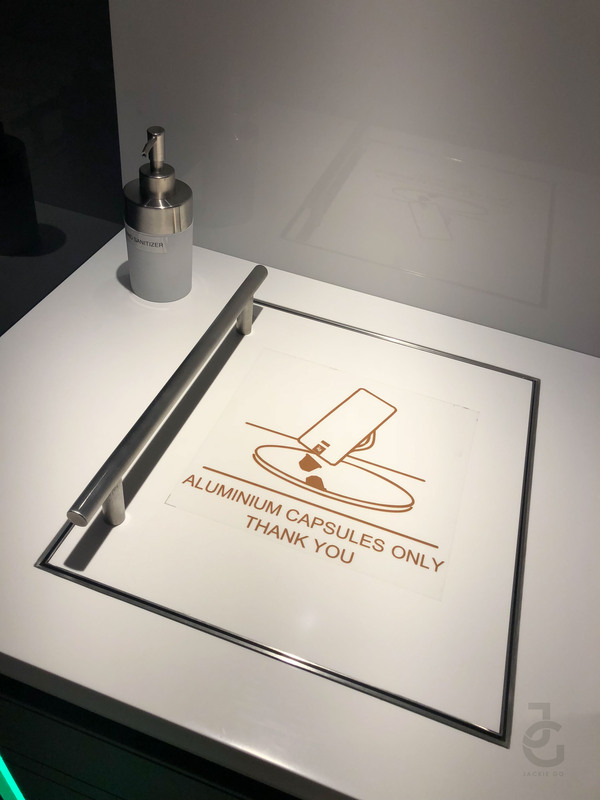 Aside from this coffee drinkers and Nespresso fans can enjoy the unique Tasting Bar where they can try and taste the different Nespresso coffee varieties and recipes. 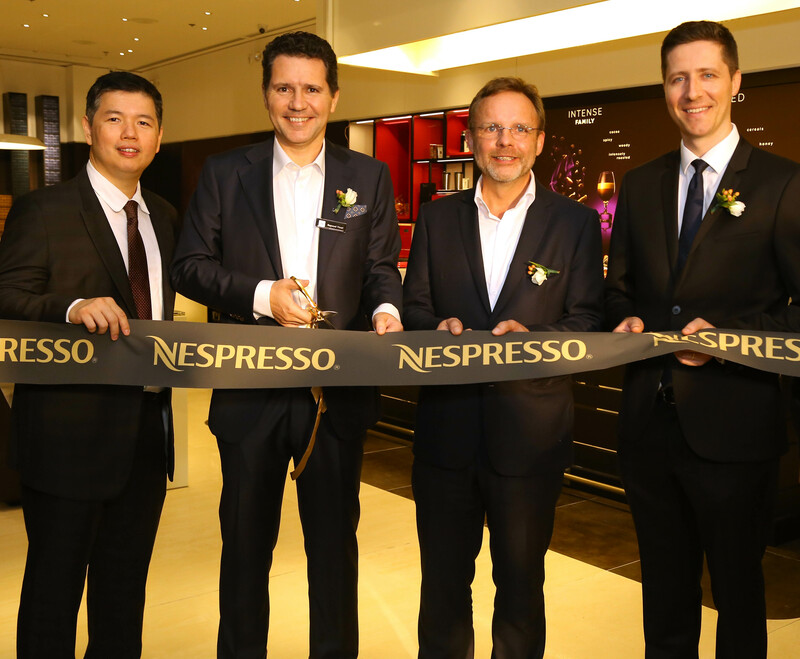 Novateur Coffee Concepts Managing Director Patrick Pesengco, Nespresso Head of Asia Renaud Tinel, Nestle Philippines CEO Jacque Reber and Swiss Embassy Deputy Head of Mission Mathias Domenig. 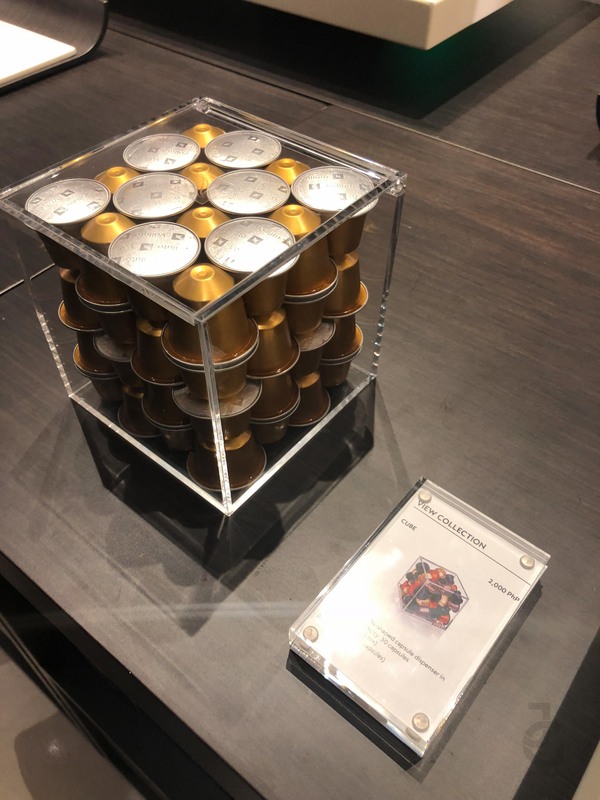 A wall full of Nespresso pods! 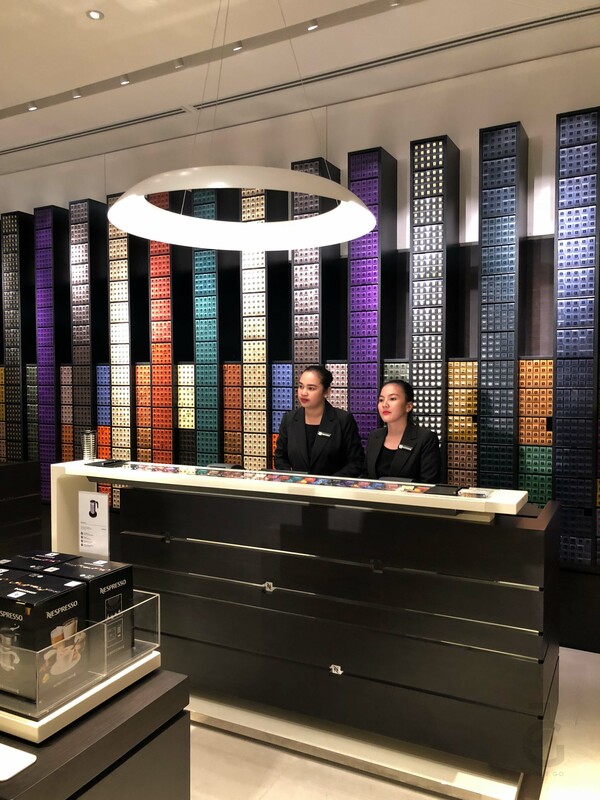 While it can be overwhelming to choose what Nespresso variant to choose from, you can easily approach their well knowledgeable staff. Personally I love Livanto, Roma, Arpeggio, & Carmelito. These are staples in our home. 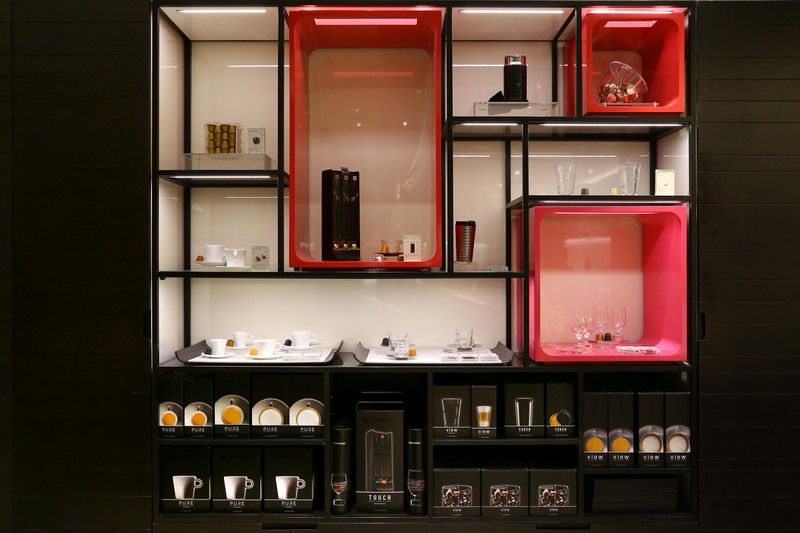 Aside from the pods and machines, they also have accessories for your Nespresso needs. 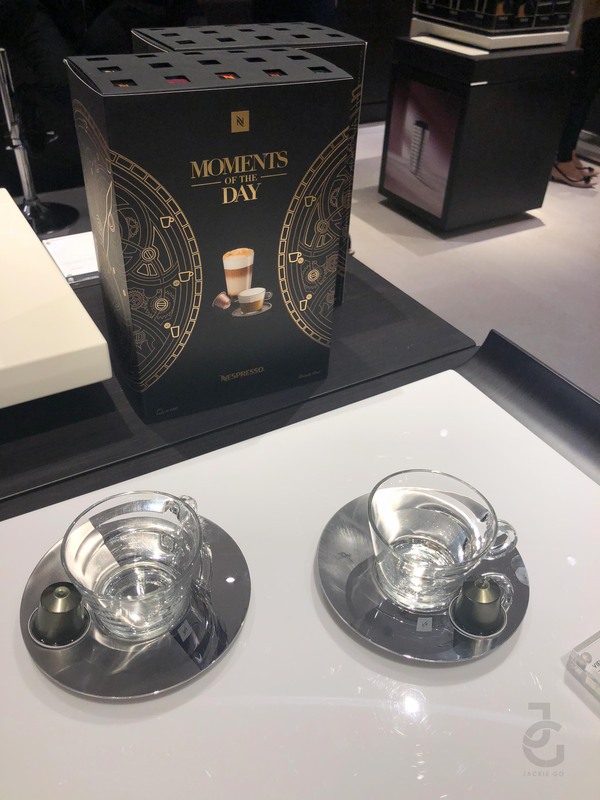 That perfect cup for a Nespresso shot. 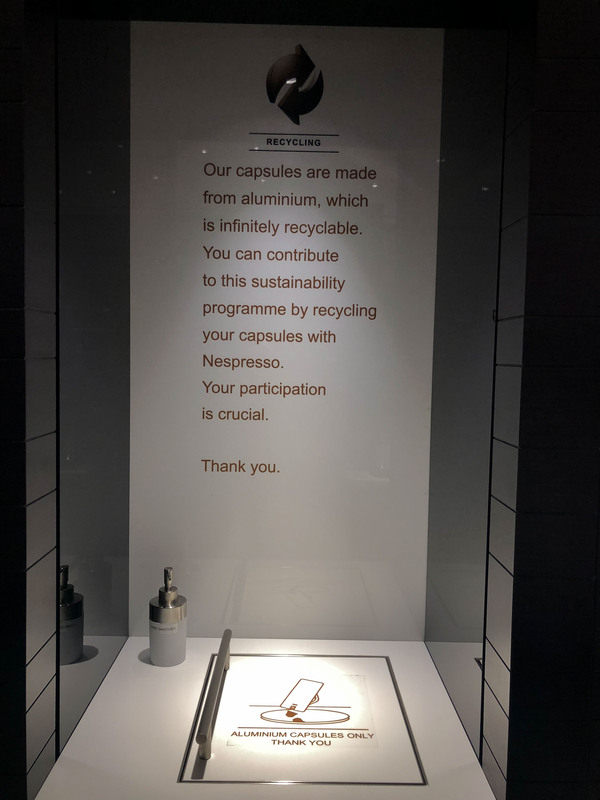 Ever wanted to recycle your Nespresso pods? Well now you can. Collect them in a bag and drop them off at the store for recycling. 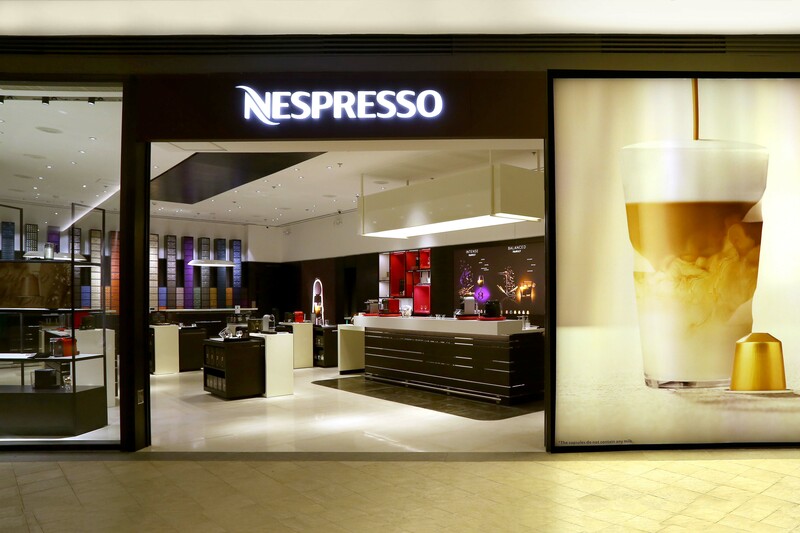 Nespresso Boutique is located at R1, Power Plant Mall, Rockwell Center, Makati City.